Have you been wanting to hone in on your airbrushing skills? Be more hireable as a makeup artist by having the knowledge and skills to airbrush makeup? Ever want to learn from one of the best makeup artists in the industry and have non stop access to all the video content so you can watch at any time? Well, we have exactly what you are looking for! What It Takes is SO excited to announce our very first masterclass with a featured celebrity makeup artist as the instructor! We have brought to you none other than award winning, celebrity artist Kerry Herta! You know her work from the iconic American Horror Story ad campaigns, as well as the ad campaigns for Fued, The People Vs. OJ, It’s Always Sunny in Philedelphia, and Trust. 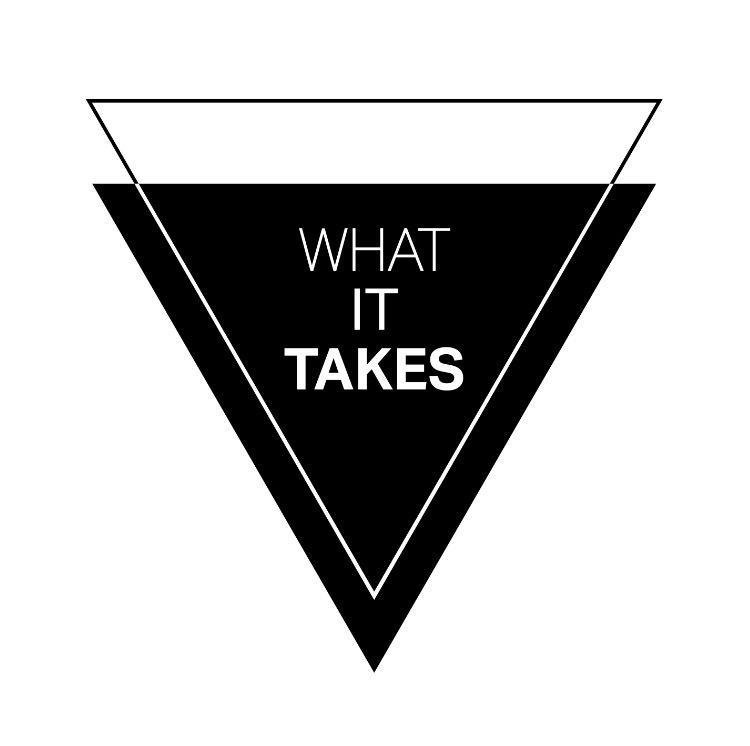 -Bonus content with creator of What It Takes, Amber Talarico! As maskeup artists, product knowledge is so crucial, and in the airbrush world it is very important to undersand the type of makeup you are using for the specific gig you are working on. In this lesson video, Kerry goes in depth about her favorite airbrush line Temptu Pro. Once a member of this masterclass, you will receive special discounts on Temptu products and tools! With airbrushing, the tools can be a little intimidating, right? During this lesson, Kerry teaches all about how to handle, care, and use the airbrush gun and compressor properly as a pro artist. In order to continue using your airbrush for gigs, you must learn how to clean your airbrush to prevent clogging or damaging your airbrush. In this lesson video, Kerry teaches how important it is to practice your airbrushing techniques on either a peice of white papter or paper towel before applying on a model/actor/client. Airbrushing can be a little hard to get used to, so practicing will help your airbrushing skills immensely. Kerry goes over a technique used in beauty called “fogging,” to acheive an effortless beauty makeup! In this demo portion of the online masterclass, Kerry showcases a 2-part educational demonstration on applying all that she has taught thus far onto her model. Starting from the foundation base, adding cheek color, and a small dose of highlight and eyeshadow. Through out each lesson, creator Amber Talarico offers bonus videos that teach airbrushing beyond beauty. She goes over other types of makeup products for body painting or prosthetics, a full break down of cleaning your airbrush, and other options we have for airbrush guns and compressors! With this online masterclass, you will get a special workbook to fill in while you watch each lesson video! Aside from that you will also receive practice sheets to print out so you can practice your airbrushing skills on paper with special designs so you can really hone in on your skills! 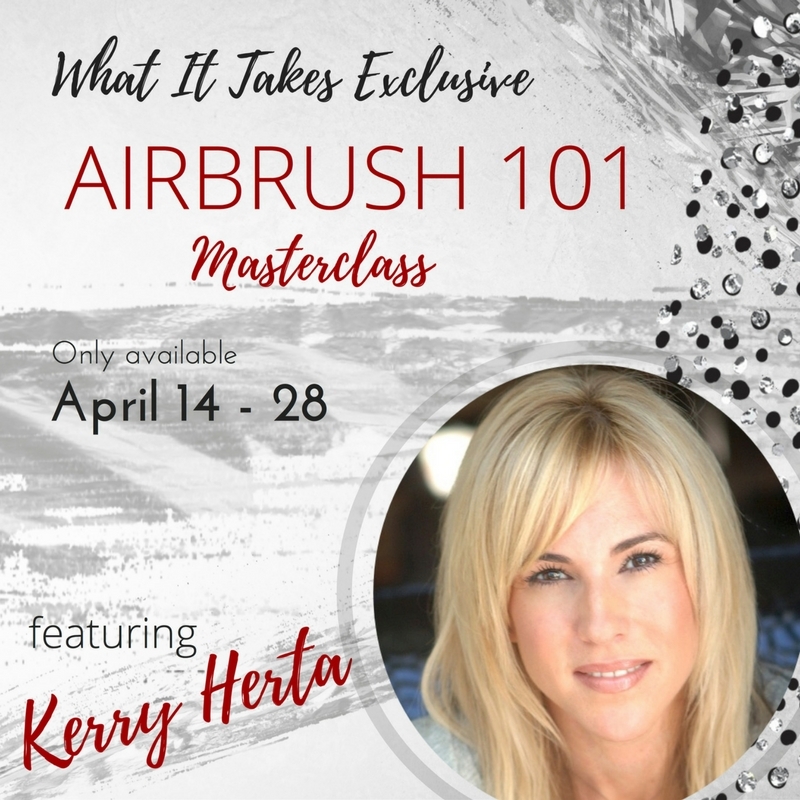 We didn’t stop at offering you a TON of education and awesome content all about airbrushing, we also have some special discounts for you in this online masterclass! You will receive discounts on Temptu Pro products and tools, and 30% off of Kerry Herta’s Colourbox Makeup Studio Bootcamp in the city of your choice. This entire masterclass is valued at $1,000! But we know being a makeup artist… the struggle IS real! So we have some options for you! 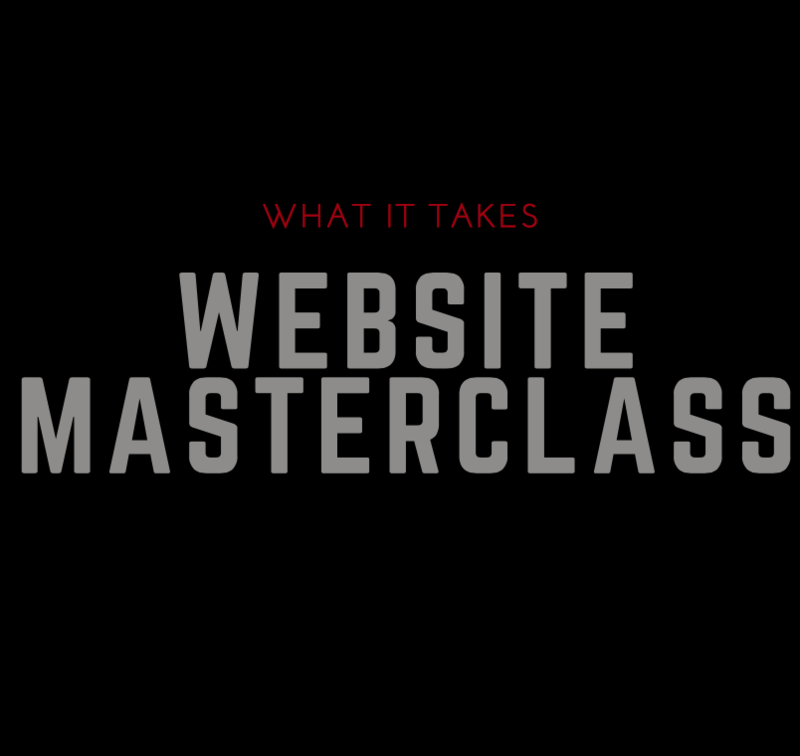 Creator of What It Takes, Amber Talarico instructs this awesome masterclass all about websites. Your website is one of, if not THE, most important tool you have to promote yourself and your work. So, you want to make sure your website is up to par, right? There is also a VIP option for this class which includes a 30 minute one on one session with Amber as she goes over your website to ensure you are on the right track to getting more jobs with your website!